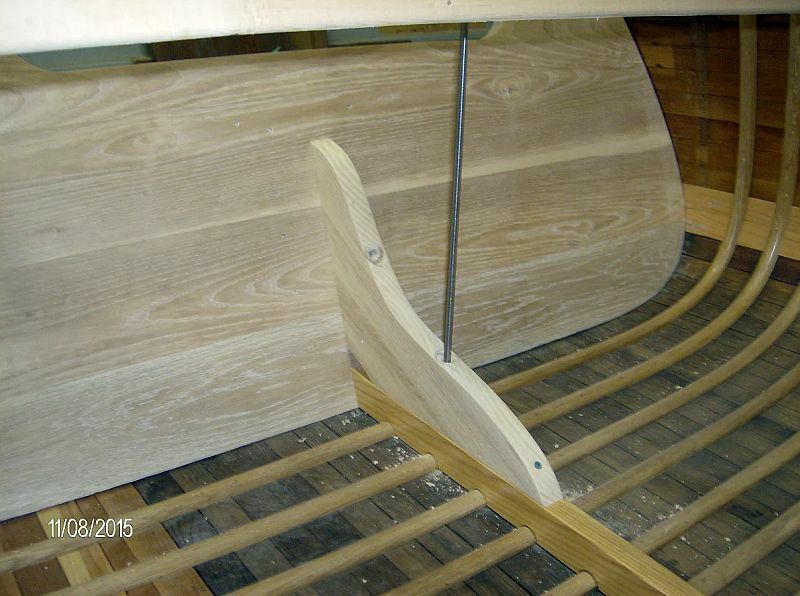 Tags: 1929 Chris-Craft restoration, antique boats, Brackley Boats, classic boats, Greavette Streamliner restoration, Port Carling Boats, vintage boats, wooden boat restoration Comments Off on A massive Chris-Craft and Greavette launch “get the works” at Brackley Boats. 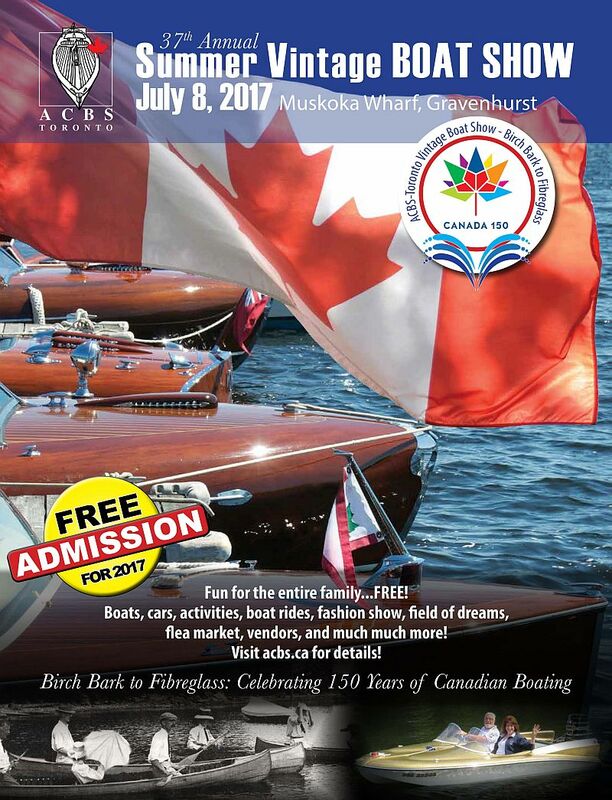 Get set for the huge vintage boat/auto show in Gravenhurst, July 8. There are also a number of pre and post show day activities, beginning on July 4th and ending the day after the show. Best of all, in honour of Canada’s 150th birthday bash, admission to the show is FREE. 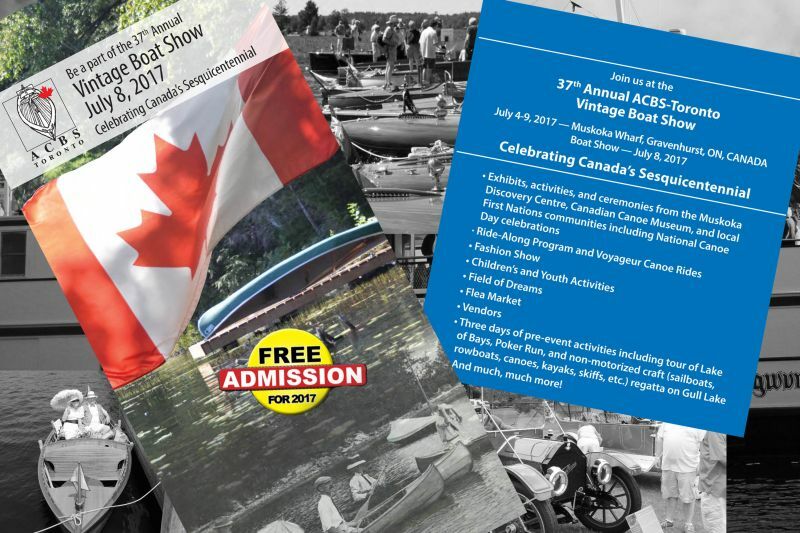 Tags: ACBS Boat Show, ACBS Gravenhurst Boat Show, ACBS International Boat Show, ACBS Toronto, Antique Boat America, Antique Boat SHow, classic boat show, Gravenhurst Boat Show, Port Carling Boats, vintage boat show, woody boater, www.portcarlingboats.com Comments Off on Get set for the huge vintage boat/auto show in Gravenhurst, July 8. 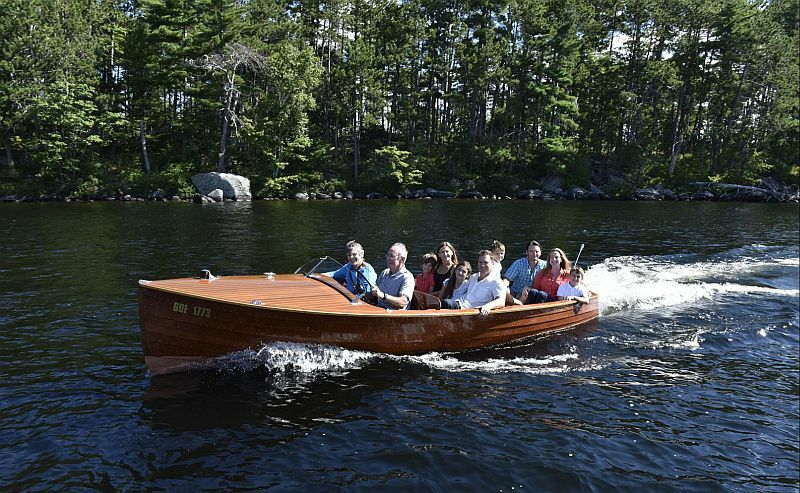 The St. Lawrence River’s Thousand Islands area, marking the Canada US border, is a wonderful place for classic boating. “Exit World,” the company that produced the video below, has done a first rate job of highlighting the beauty of this region, not to mention the joys of ripping through the water in a Classic woody. Enjoy the video below. A Peterborough Handyboy rises from the ashes! 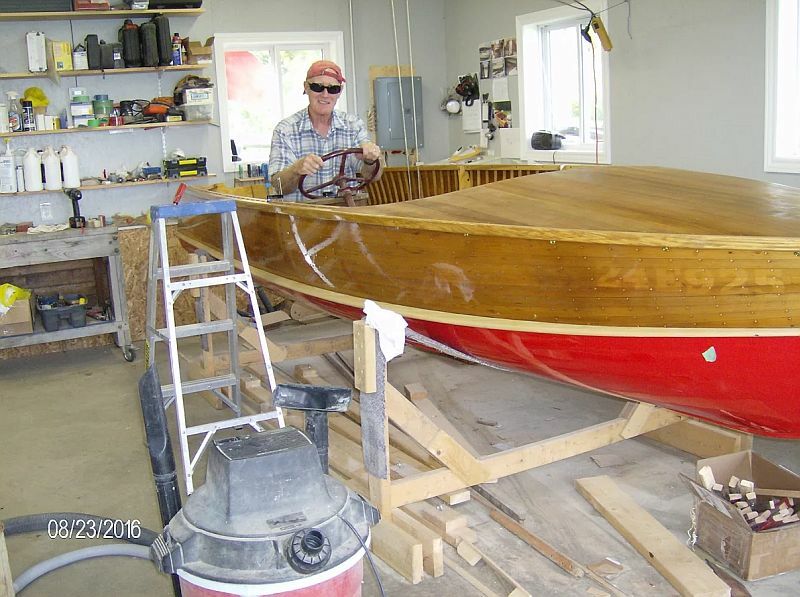 Congratulations to Ken Robinson of Owen Sound Ontario, who is reaching the final stages of restoration with this 1960s Peterborough Handyboy. 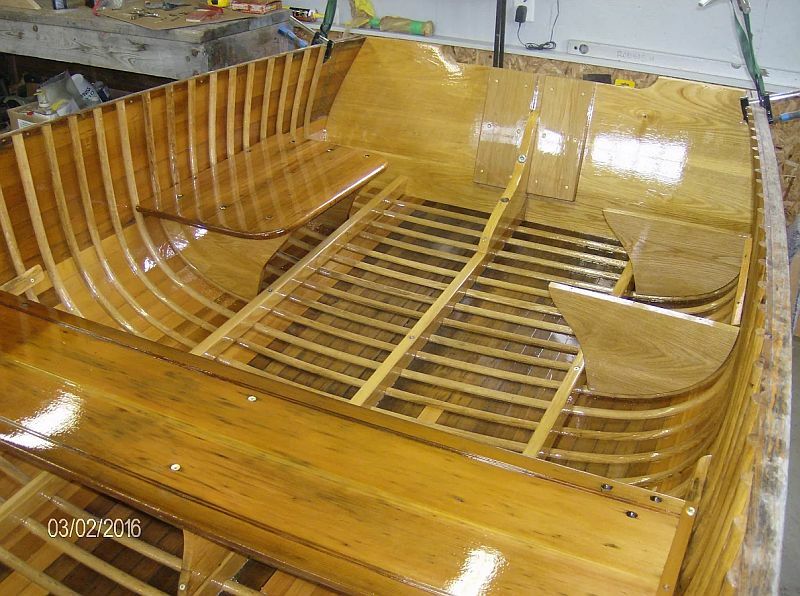 Is the interior of the boat coated with epoxy or polyester resin and/or varnish? The interior is finished with penetrating epoxy sealer and varnish. 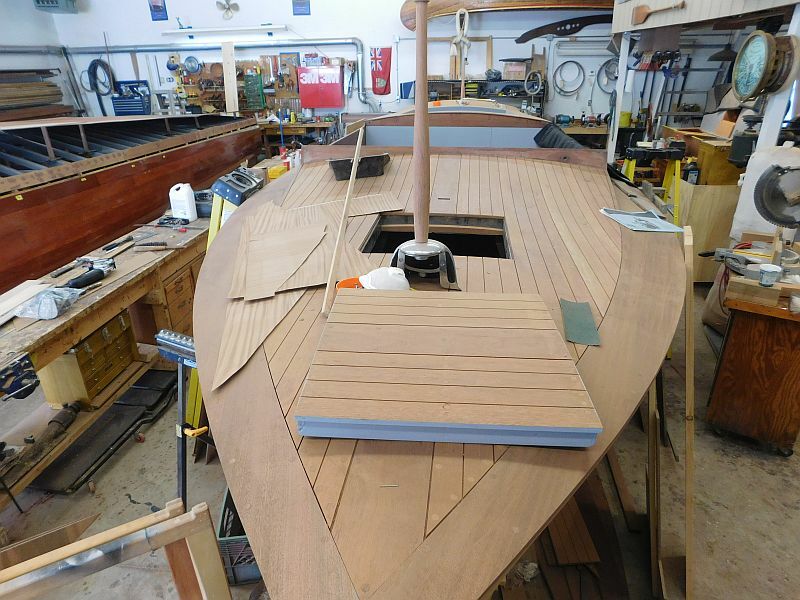 How many new planks and ribs were required? 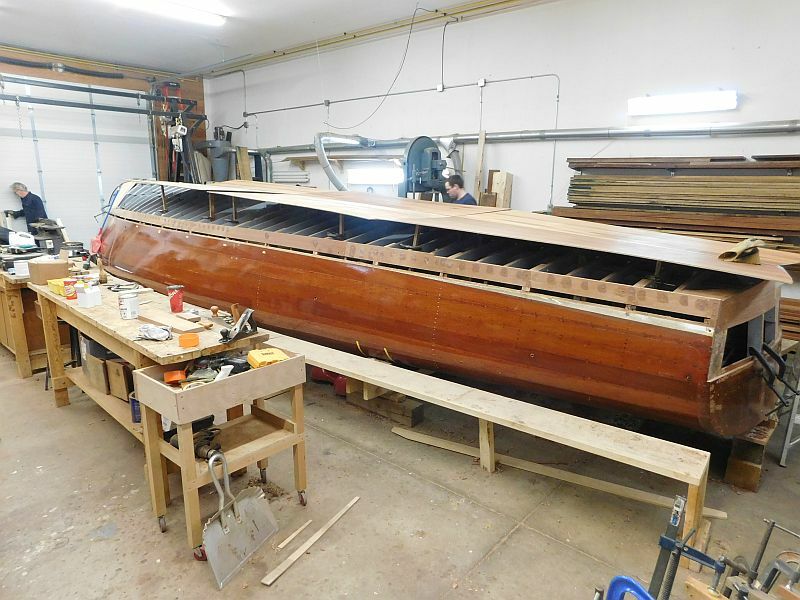 47 new ribs, 22 partial planks (about 13 sq. feet) Total of over 2000 clout nails. 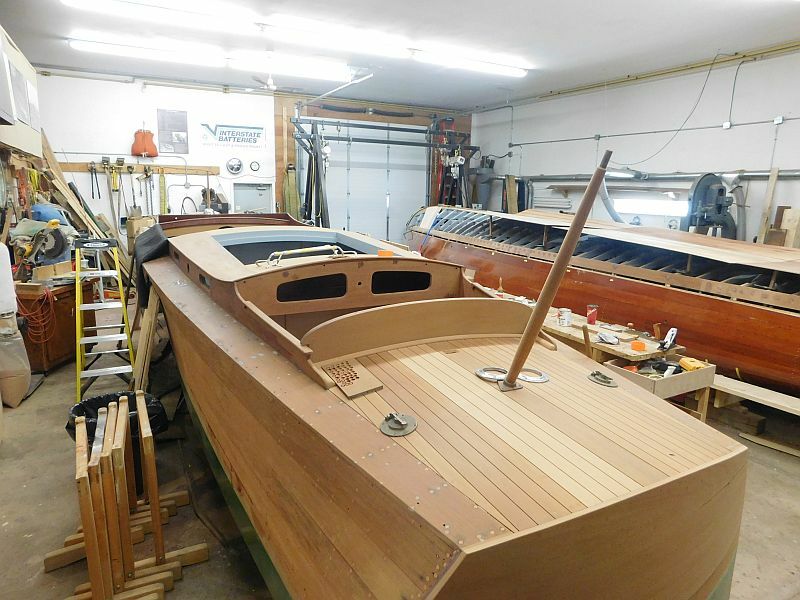 Any idea how many hours you spent on the boat during the process? So far 680 hours of mostly pleasure. Most people think of it as work, but not so. 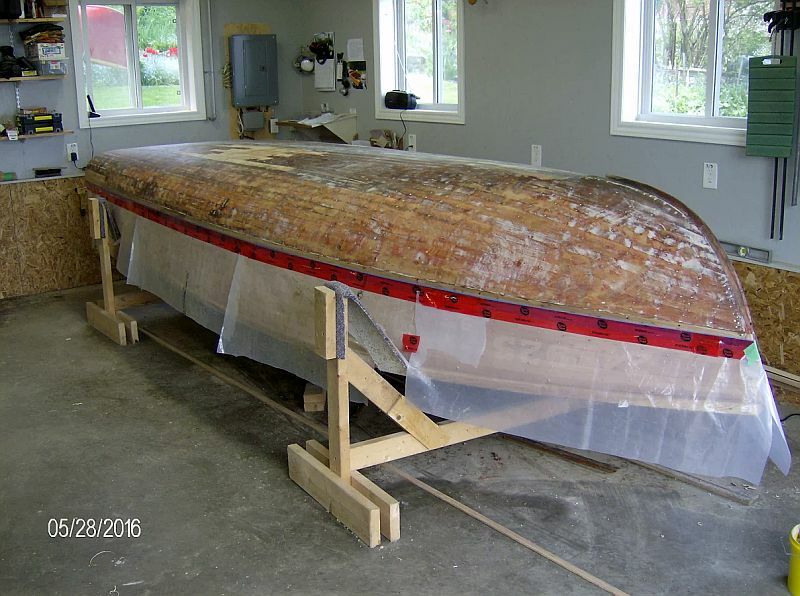 Several photos show the upturned hull with fibreglass cloth on the bottom. Did you use a polyester or epoxy resin on the hull? If you don’t mind me asking, do you have any idea of the funds required to complete a restoration of this nature? (I don’t mean to be “nosy”, but that information is very helpful for other potential restorers. 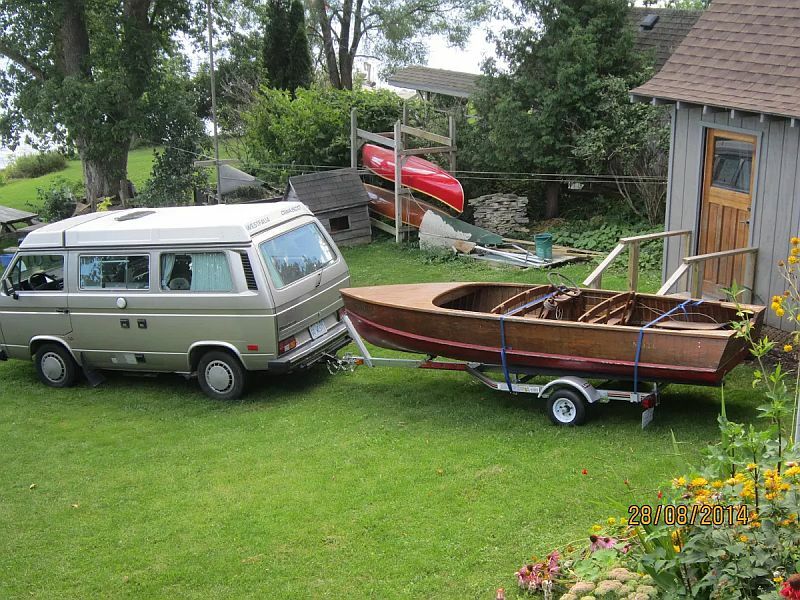 Initial purchase of boat and 1964 28hp Johnson (now for sale) was $850. So far I have spent $3500 on material, fasteners and suppliies (sandpaper, brushes etc). 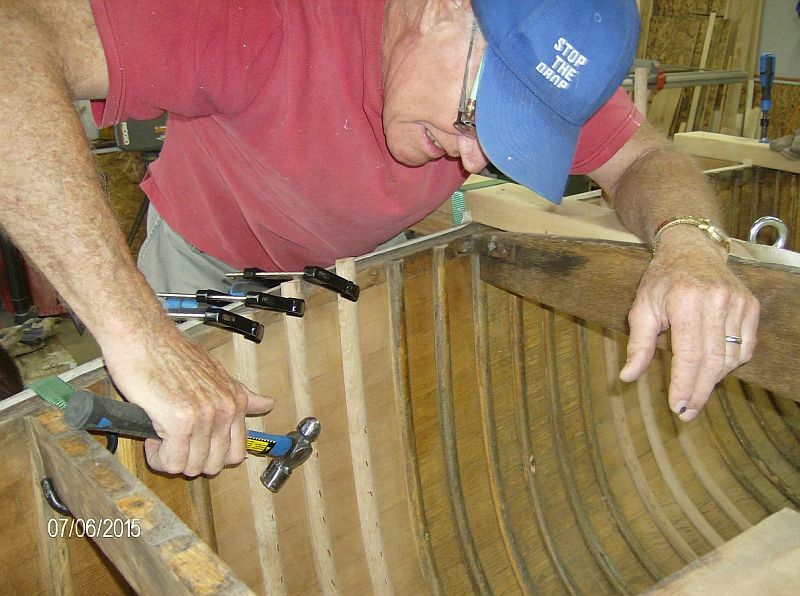 Note to potential restorers: This is Ken’s first boat project. For a “beginner”, it certainly appears that he has done a wonderful job! Ken is willing to share more information on his project if it is of interest or helpful for others embarking on a project. Contact this website for Ken’s contact information. 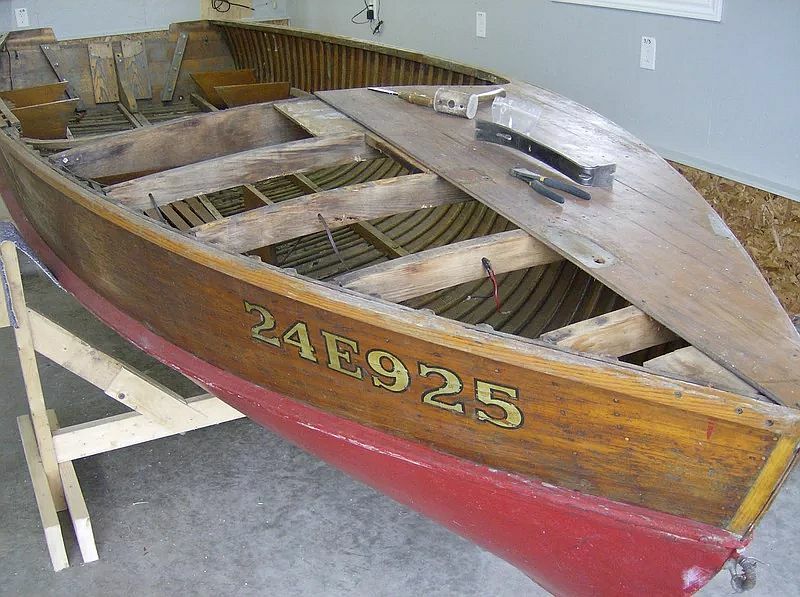 Tags: ACBS, antique boats for sale, classic boats, classic boats for sale, Ontario Cottage Rentals, Peterborough Handyboy, vintage boats, wooden boats, wooden boats for sale, woody boater, www.portcarlingboats.com Comments Off on A Peterborough Handyboy rises from the ashes!